When the goalkeeper ends up top scorer that is generally a good indicator of the kind of game served up. 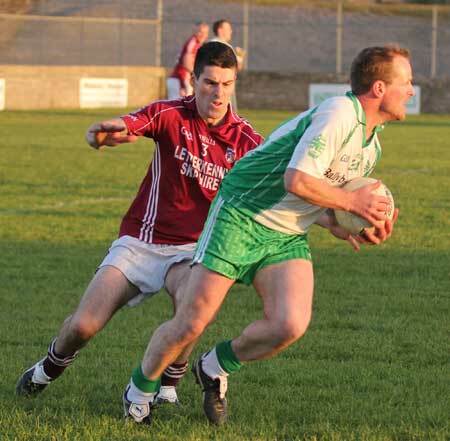 Termon endured a torrid 2011 in division two and they got about their work in Father Tierney park like a team that don't intend to tarry too long in the third tier. 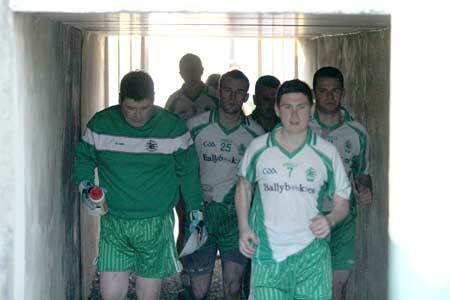 The game was only two minutes old when Anthony Boyle put Paddy McDaid to the deck as he went through on goal. Termon got a penalty and Boyle a yellow card for his trouble. The penalty was poorly struck and Paul Kane got his boot to it to deflect it out for a 45. 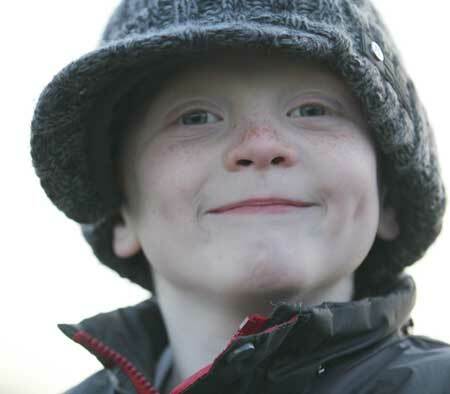 This saw Michael Boyle step up for his party trick, a party trick which on repetition got the crowd grumbling about the time wasted with Boyle shuttling up and down the pitch for kicks. In any event Boyle opened the scoring with a clinical 45. 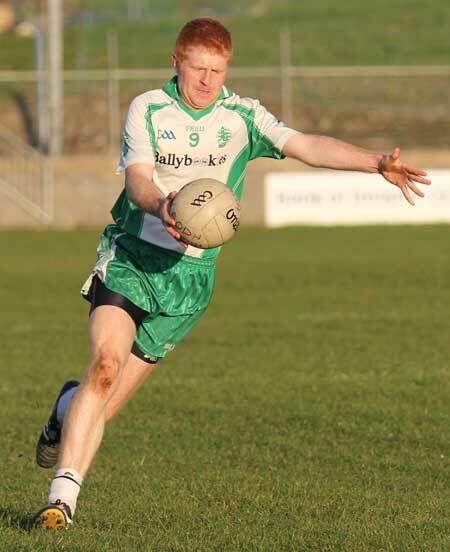 Aodh Ruadh's own free-kicking goalkeeper Boyle, Peter, is now plying his trade out the pitch. 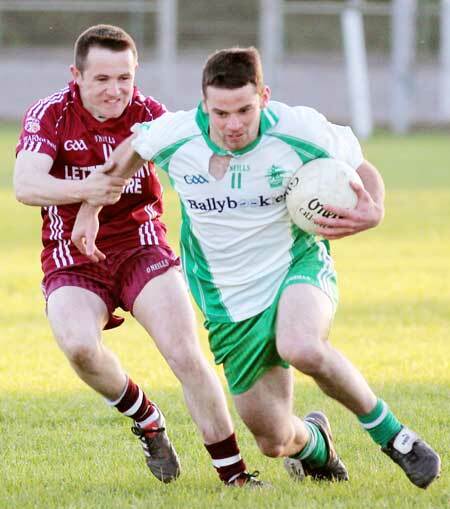 He was deployed at full forward, but he got little change out of the Termon defence and his, and Aodh Ruadh's, first effort was a wide on seven minutes. Boyle finally got Aodh Ruadh off the mark a couple of minutes later with point created by the muscular ball-winning of Michael 'Sticky' Ward. 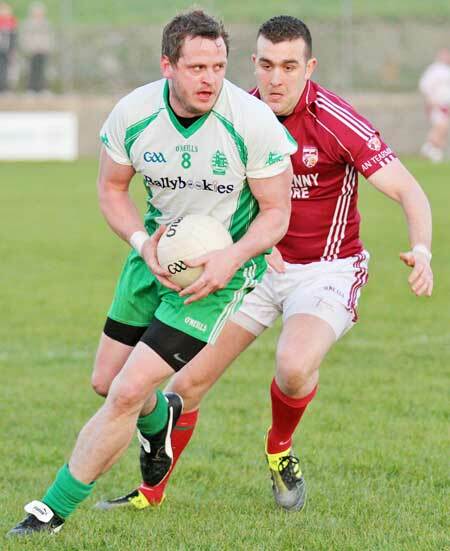 Johnny McCafferty, Termon's star turn of the first half, opened his account after ten minutes with a free, followed immediately by a point from Andrew Duffy. Aodh Ruadh replied with an excellent effort from Anthony Boyle, but this was followed by Termon's second goal opportunity of the half. Kevin McDaid did some super work to engineer himself a shot on goal but his rasper left the cross bar shuddering before flying back out into play. With eight minutes left in the half McCafferty doubled his tally with a fine lofted effort. That work of art was followed by two more prosaic fisted efforts, the first from McCafferty again and the second from Thomas Cullen. Those left the score at 0-6 to 0-2 with four minutes of the half left. Aodh Ruadh urgently needed a score before the break and it came from Diarmaid McInerney, a fine score with plenty of air under it. To be just a goal behind at the break would have been a good result for Aodh Ruadh, but Termon got another 45 and this saw Michael Boyle step up again to convert and leave the sides at 0-7 to 0-3 as Connie Doherty signaled for half time. 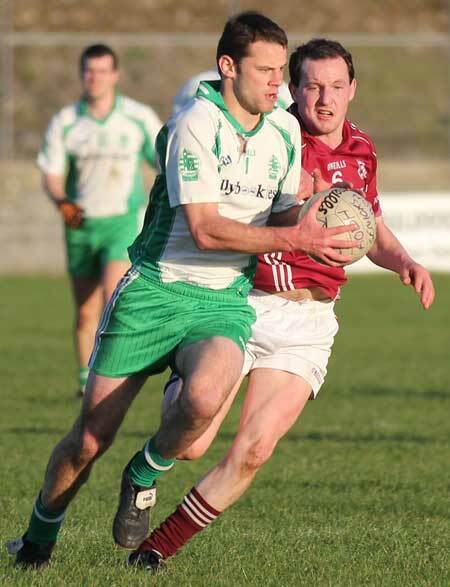 Directly after the break Daniel Conaghan became the last member of the Termon forward line to get on the score sheet. His score was a fisted point which extended the gap out to five points, a cushion Termon were to retain to the end of the game. 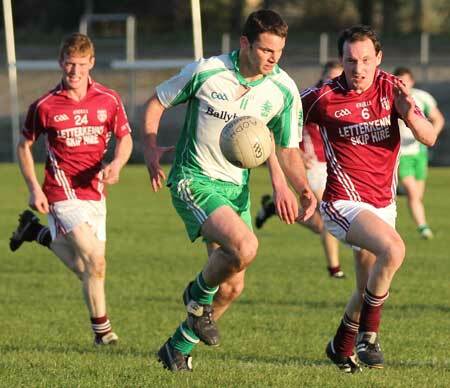 That notwithstanding Aodh Ruadh came into the game much more in the second half and as the half wore on Termon visibly tired and had Ballyshannon a greater cutting edge to complement their superior fitness the men from the north might have had a more nerve wracking finish to the game. 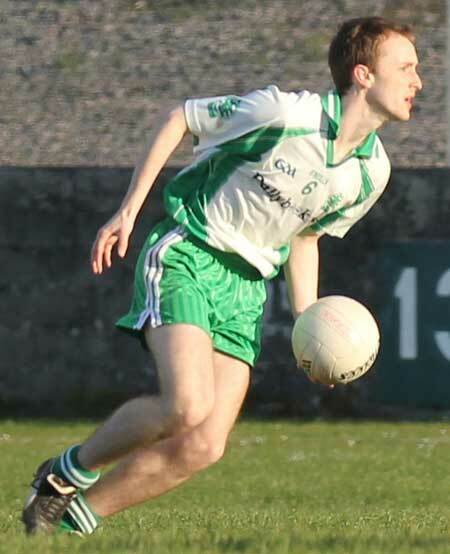 Aodh Ruadh made the next impression on the score board, PJ McGee feeding Sticky Ward who pointed on the turn. Michael Boyle restored the five point cushion with a distance free five minutes into the half. Four minutes later Paddy McDaid got his reward for a lot of profitable mullocking around the centre with a classy curled point. 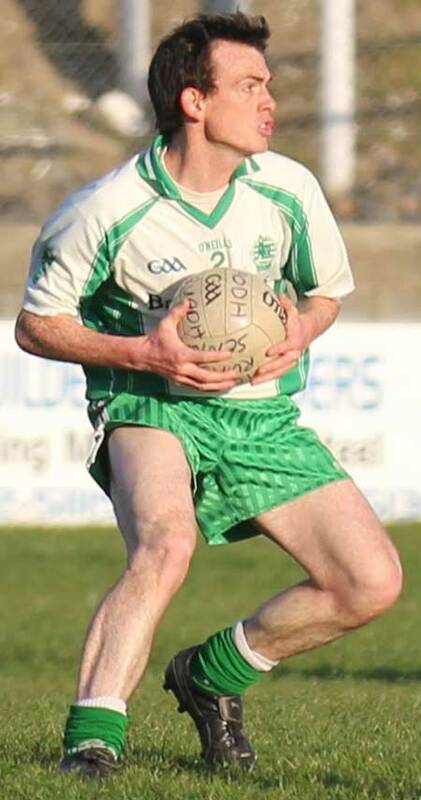 Aodh Ruadh again needed a score to ward of the threatening rout and it came with a enormously courageous effort from Peter Boyle who had to show eye-watering physicality to break a Termon tackle before screaming over a point which was probably score of the game. That score gave Aodh Ruadh the impetus for a mini rally. A minute later Sticky Ward was again creator as David Dolan, quiet by his high standards, slotted over a trademark left foot score. From the kick-out Donagh McIntyre got on the ball and was allowed acres of space by the Termon defence before taking his shot which sailed over to cut the deficit to a goal at 0-10 to 0-7 going into the final quarter. Aodh Ruadh are a very young team this year and Termon's craft stood to them in the final quarter as they eked out the scores to get them over the line in the face of Ballyshannon's surge. First Barry Neilis got a point off the right and then with five minutes to go Michael Boyle excited the ire of the home support when brought forward for a close range free in what was clearly a time wasting measure. Boyle pointed with ease and made himself top scorer in the game with four points and rendered Trevor Alcorn's and Johnny Gethin's late exchange of scores of little consequence. So two valuable away points for Termon while Aodh Ruadh win only a valuable learning experience for their young team. Paul Kane; Michael Dolan, Ciron Whoriskey, David Finnerty; Anthony Boyle (0-1), Ronan Drummond, PJ McGee; James O'Donnell, Kerry Ryan; Johnny Gallagher, David Dolan (0-1), Diarmaid McInerney (0-1); Donagh McIntyre (0-1), Michael 'Sticky' Ward (0-1), Peter Boyle (0-2). 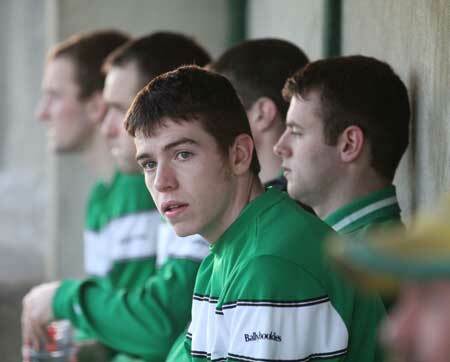 Yellow cards: Anthony Boyle: 5 minutes; Ronan Drummond: 10 minutes. Substitutes: Conor Patton for Ronan Drummond; Pauric Loughlin for Kerry Ryan; Ronan McGurrin for Anthony Boyle; Johnny Gethins (0-1) for Diarmaid McInerney; Ryan Granaghan for Peter Boyle; Kieran Keown, Ronan Matthews, Steven Perry. Michael Boyle (0-4, 2f, 2 45s); Joe O'Donnell, Sean McDaid, Barry Neilis (0-1); Paddy McDaid (0-1); Kevin McElwaine, Sean O'Donnell; Daniel O'Donnell, Jimmy Gallagher; Kevin McDaid, Trevor Alcorn (0-1); Andrew Duffy (0-1); Johnnny McCafferty (0-3, 1f), Thomas Cullen (0-1), Daniel Conaghan (0-1). Yellow cards: Kevin McDaid: 37 minutes. 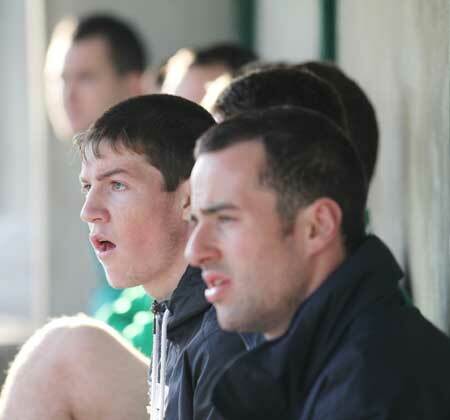 Substitutes: Joe English for Daniel Conaghan; Brian Trearty for Andrew Duffy; Pauric Helferty for Thomas Cullen.